On James Cargill’s (of Broadcast and Children Of Alice) Soundcloud page there are a few Broacast related rarities, mix tapes, demo versions of songs etc. 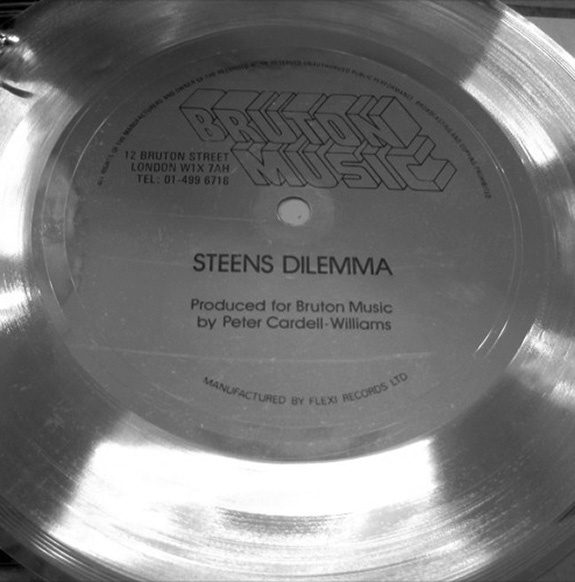 One of my favourite items is the Bruton Music Flexi – Steens Dilemma. This is (I assume) a promotional item made for/by the Bruton Music library music company. It’s a time capsule of a previous era. Or maybe that should be an imaginative time machine, such is the way that it captures and conjures up a a particular time and way of doing things.